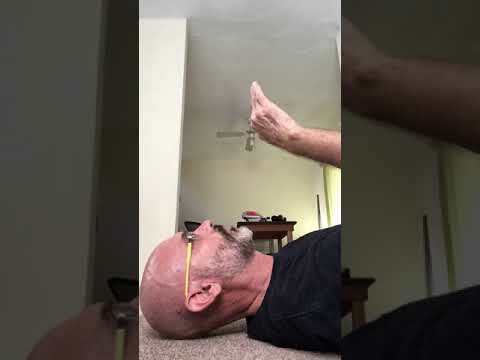 This was originally a Facebook live video for my private Feldenkrais membership area. And while it will not win any awards for video quality and editing, I am reposting it here for those looking for quick tips on Feldenkrais padding for "back" and "side lying" sessions. The important thing to remember is to have enough padding so that your head is on the same plane as the rest of your spine when you are on the side. (i.e. head and neck straight - inline with the rest of your spine). AND - that you are comfortable and not in pain when doing sessions. cheers! The post Feldenkrais: Padding For Sessions (Video) appeared first on Ryan Nagy. This entry was posted in Feldenkrais | blog by ryannagy. Bookmark the permalink. For those of you who are on my private email list or following me on Facebook, you may have seen my various free sessions and posts and products on using Feldenkrais sessions for healthier eyes. My interest in the topic of eye health has largely been personal: After nearly 11 years working online and increasingly using both my laptop and cellphone, I had tension in my eyes and face that was very annoying. The Feldenkrais eyes sessions that I recorded and used had a wonderful effect, not only keeping my movement soft and supple in my eyes, but relaxing my entire nervous system. The effects did not last very long. I could do part of Feldenkrais session in my mind and be stunned at how much tension was leaving my system. Tension of which I had only vaguely been aware. But then I would do a similar process several days later and again be stunned. But this time at how much tension had crept back into my eyes. The questions I asked myself, "How does the tension keep coming into my system again so quickly? And how can I make the relaxing effects last longer?" Before we go further, keep in mind that I have been using and experimenting with Feldenkrais for decades. I do not need to listen to or do a "formal" session in order benefit from Feldenkrais-ian ideas. I can simply think about what I want to experience and close my eyes and start to move my body and mind in ways that help get me where I want to go. I can pick and choose between various ideas that come to mind from different sessions and ideas and do them - experiment with them - play with them. Even so, having to continually engage in processes to keep my eyes stress free and optimal was getting annoying and time-consuming. However, one thing that noticed was that when I get early morning light when walking my dogs, my eyes seem to feel better. This was especially true when I took off my glasses so that the light could enter my eyes unfiltered. That made me realize more and more that keeping our eyes healthy requires light - real light - sunlight. Sunlight that is not filtered through windows or eyeglasses. I decided to experiment with increasing my "dosage" of sunlight. For the last sixs, I have been walking my dogs even earlier in the morning - right before sunrise. And also swimming in the ocean very early in the morning when I can. And it has made a huge difference. My eyes feel more relaxed and comfortable during the day and at night. And my energy level and sense of well being has increased. I am astounded at the changes. There is much more that I could say about this topic. And much more that needs to be said, especially in relation to spending too much time in front of computer screens and cellphones. There is a great deal of research suggesting that too much screen time has negative effects on not only vision and eye functioning but also physical and mental health. I will share links and discuss this in a future blog post. For now, perhaps take a moment to consider how your technology use is affecting your health? Are there simple changes that you could make to improve your health? And please remember, I am not a medical doctor. And I don't play one on YouTube! I am not making recommendations, only sharing with you my personal experience and experiments. The post Natural Light For Healthier Eyes appeared first on Ryan Nagy. Feldenkrais sessions that involve the breath have a tendency to bring out a great deal of emotion in me, sometimes leading to spontaneous crying or anger. Have you experienced something similar? The first time I experienced it was during a Feldenkrais table session (sometimes called "Functional Integration"). I was young at the time, only 24 (or so) and had only recently stopped living in my car and on the street after getting off drugs. I was grateful that the practitioner giving me the session saw it coming and left the room so that I could cry and process it on my own. But even now, more than 20 years later, experiential sessions (sometimes called, "Awareness Through Movement") that involve unique breathing movements can bring out strong emotion. As I think about it, it is not the breath that is the main factor, but rather finding new movement in my ribs. Or perhaps said, letting go of compulsive tension in the muscles around the ribs. The post Breathing, Crying and Anger appeared first on Ryan Nagy. "Press the middle of your waist in the floor. That is, press the small ribs on the right and left - the floating ribs." To me, the middle of my waist and my floating ribs are not the same area. So just to clarify my perception a bit, I found a Youtube video to help me get a clearer image. 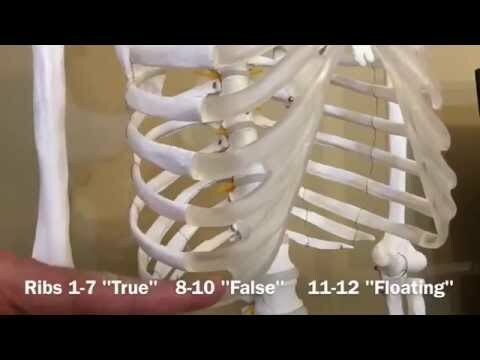 Do you know and can you feel...your "true" ribs, "false" ribs and floating ribs? The session that I am preparing is based on Alexander Yanai #191:Pressing to the floor and breathing [Breathing rhythmically #7]. The post True Ribs, False Ribs, Floating Ribs (Video) appeared first on Ryan Nagy. This entry was posted in Feldenkrais Quotes | Feldenkrais | blog by ryannagy. Bookmark the permalink. I was really excited a few days ago when I saw that my longtime friend, colleague and fellow "Feldenkrais Evangelist" Alfons Grabher had released a new book: Feldenkrais With Alfons: Getting Better Day By Day. Alfons does what I do - travels the world (He is an Austrian currently traveling in Hong Kong, Taiwan and China and I am a Gringo in Mexico), has cool adventures and experiments with ways to share Feldenkrais ideas and strategies. That's why I felt compelled to contact him to work out a way to support the release of his latest book. Getting Better Day By Day, is unique in that it breaks with "Feldenkrais Orthodoxy" and teaches the work via photos that show the Feldenkrais positions and movements. Many of my students and people who have bought my own products have asked me to do something similar. I have resisted doing so because I prefer to learn and teach via audio sessions and live classes. And Feldenkrais himself, rarely demonstrated the "correct" position. He preferred that each individual understand the sessions based on his or her own sensory motor understandings. Feldenkrais did not want people to "copy" another person's movement. Even so, I am very grateful that Alfon's has decided to release his book because so many people want visual/pictoral instructions for the work. And they can really benefit from the additional feedback. And it is SO important for Feldenkrais practitioners to keep experimenting with ways to share and teach the work. The post Feldenkrais With Alfons: Getting Better Day By Day appeared first on Ryan Nagy.